TRENTON-- Early last week, as I was walking home from work one day, I noticed there were laborers doing construction work on North Warren Street. And for those that know the Warren Street I referring to, you know that driving down that street in your vehicle is not like 'Cruisin on a Sunday afternoon' as famed rhythm and blues crooner Smokey Robinson once said. Its quite the contrary, driving on that road is like going through a collision course.The potholes on that street are deeper than Plato's Republic. 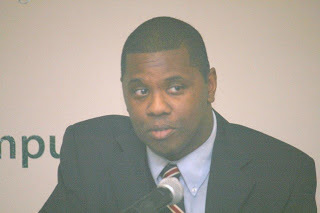 All jokes aside, I do believe its a good sign that they are working on improving things in the city of Trenton. This isn't the only sign of improvement I have stumbled across in my travels while living here in the city. Just the other day, I was coming from the Trenton Public Library on Academy Street and I took a glimpse of some of the great work that the S.A.G.E. Collective and Trenton Atelier are doing on East Hanover Street. From the looks of things, they are bringing artwork, greenery, and new life to a street that is notorious for drugs and panhandling. So, I want to say hats off to them for doing this kind of work. Along with this, I also see that the Big Easy Restaurant has in its own way brought new life to the city's downtown section with its ongoing shows and tasty delicacies. Yet, at the same time, I also see some of Trenton's staple businesses closing up shop or relocating. As a case in point, one can look at historic Amefika's on Stuyvesant Avenue. This longtime Trenton favorite is no more. On top of this, another well known eatery, DeLorenzos pizza shop decided to close its doors in Trenton and re-open them in Hamilton near the AMC movie theater. Wait, there's more, the city's lone major hotel, the Marriott, is struggling mightily and can't seem to turn things around financially. I ask myself: what is one to make of these developments? Indeed, the question becomes: what's going on? 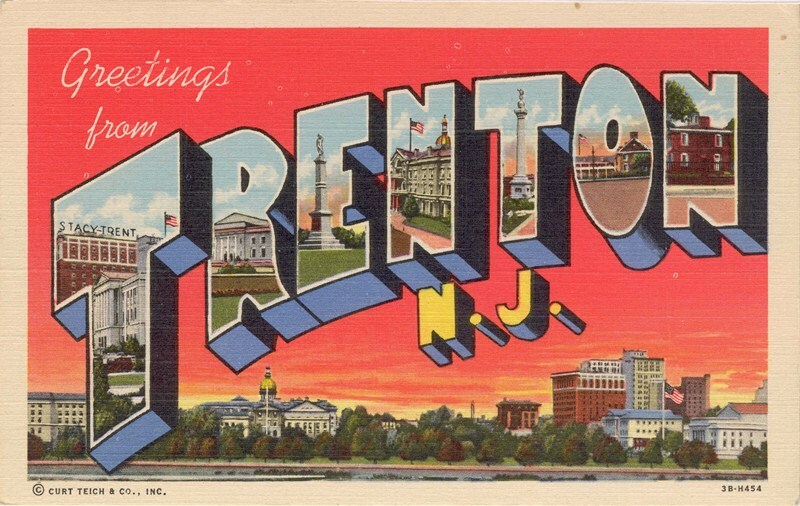 Lets face it, the city of Trenton needs jobs, jobs, and more jobs. This beloved city is plagued with violence, failing schools, and abandoned properties, Lord knows something needs to give. Granted, I don't pretend to have the answers, but I do think there has got to be a way to help revitalize a place like Trenton that has definitely seen its better days. However, before any talk about wholesale changes to attract small business and entrepreneurship, I ultimately think we need to have a serious dialogue about individual change. Here what I mean is that we can't begin to see real change on the streets of Trenton until there is a real change within. Change within our families, change within our communities, change with our selves. Indeed, as Mahatma Ghandi once said, "you must be the change you want to see in the world". Now, don't get me wrong, I recognize that I have my faults and I, too, am a work in progress, but I know there are some basic things I can do to make a impact despite my shortcomings, however small they may be. That is a big reason I want to continue raising questions and engage the community in an ongoing dialogue about the pressing problems of today. But I recognize that's just my one part. In a body, I recognize that there are many individual parts or pieces that help it function and ensure its health. For example, your individual part maybe volunteering with the youth, another person's part may be rallying to stop the violence, while yet another person's part may be cleaning up their street. You name it, there's something out there that we can do. Every little bit counts, that's my story, and believe you me, I'm sticking to it. And don't think you're alone, there are others already out there that are letting their light shine and bringing positive vibes. From Classics' Friday night game night to the S.A.G.E. Collective Grass for Ghandi Fundraiser, these are definitely signs of positive change. Let's build upon that momentum together. What do you say?